Cassava farmers and processors in Tanzania have another reason to smile as a new project to address one of their major challenges―the lack of access to clean planting material of new improved, disease-resistant varieties―is launched. 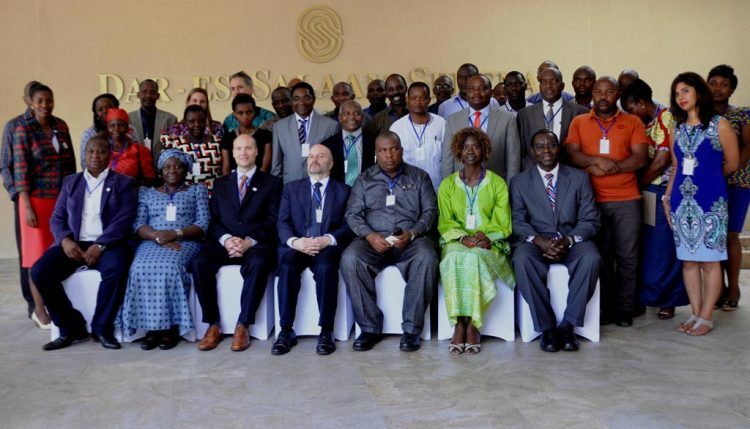 The five-year project titled Building an Economically Sustainable Seed System for Cassava in Tanzania – BEST Cassava seeks to set up an accessible and affordable commercial seed system for quality assured planting material of improved, disease-resistant varieties. It is funded by the Bill & Melinda Gates Foundation. 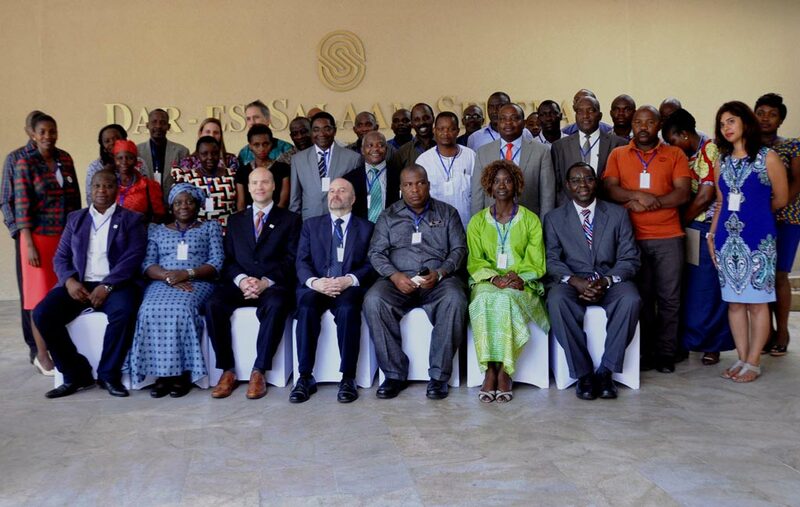 It will be implemented by the Mennonite Economic Development Associates (MEDA) with the Tanzanian Ministry of Agriculture, Livestock and Fisheries (MALF), and IITA in 11 regions in Tanzania. The project was recently launched by Honorable Engineer Mathew Mtigumwe, the Permanent Secretary (PS), Ministry of Agriculture, at a ceremony in Dar es Salaam, Tanzania. It comes hot in the heels of a recent announcement of a US$1 billion partnership between Tanzania and a Chinese firm to commercialize cassava farming and processing. The PS applauded the project as he noted its timeliness in the ongoing efforts to exploit cassava’s great potential to boost the income of farmers and fight rural poverty. “The production of cassava in Tanzania is affected by two devastating diseases―cassava mosaic disease (CMD) and cassava brown streak disease (CBSD). Therefore, providing farmers access to high quality planting materials of high-yielding, disease-resistant, improved cassava varieties will allow them to exploit this new opportunity and others to unleash widespread economic impact on smallholder farmers and lead to positive ripple effects throughout the community,” he said in a speech read on his behalf by Hussein Mansoor, the Director of Research and Development (DRD) in the Ministry. MEDA’s Stephen Magige, Project Manager of BEST Cassava, said that the project aims to “have a commercialized cassava seed system in place that will facilitate farmers’ access to cassava planting materials of improved varieties for increased farmers’ productivity and incomes”. The project will support more than 430 privately owned cassava seed entrepreneur businesses that will directly target approximately 29,000 smallholder farmers and indirectly benefit over 1 million farmers and their households. Regina Kapinga, Head of Advocacy and Resource Mobilization, who is leading the team from the IITA side, noted that increased commitment and investment by the government in the development of the cassava seed sector will lead to improved livelihoods of smallholder farmers. The other researchers from IITA are Edward Kanju, cassava breeder, and James Legg, plant virologist. The commercialized seed system will provide farmers access to new improved varieties developed by the national breeding program in collaboration with IITA. “The national cassava breeding program has released new varieties which have the potential to produce more than 20 t/ha without the use of fertilizers and irrigation. These varieties also have tolerance to cassava mosaic and cassava brown streak diseases. The seed systems will ensure that they reach farmers quickly and cost effectively,” said Geoffrey Mkamilo, the National Coordinator for the Root and Tuber Crops Research Program from the Ministry of Agriculture. The project builds on the successes and lessons and the teams from three previous projects funded by the Gates Foundation launched in 2012. These are: the Cassava Varieties and Clean Seed to Combat CBSD and CMD (5CP) project led by IITA; Commercially Sustainable Quality Assured Cassava Seed System, implemented by MEDA; and the Community Action in Controlling Cassava Brown Streak Disease through the Clean Seed project led by the DRD.